If you don’t already have plans to travel to Steamboat, Springs, Colorado…also known as “The Boat” by the locals, make your plans today! Read below to find out why. 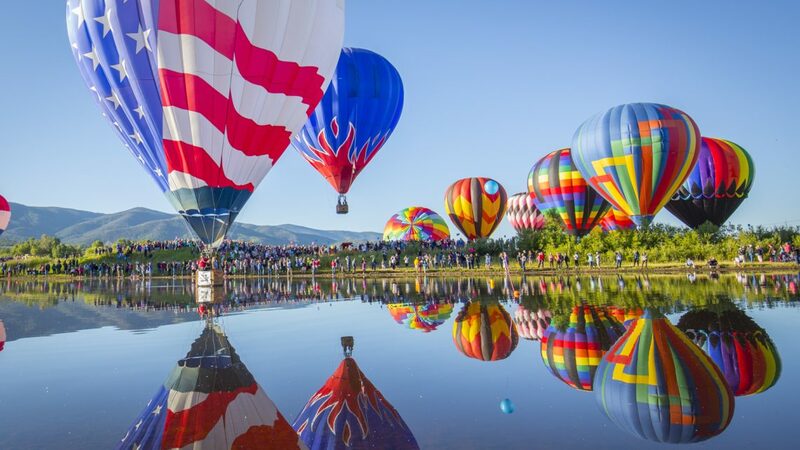 It’s a no-brainer to travel to Steamboat for the incredible “champagne powder” skiing, but did you know that Steamboat is also a hub of great activities all summer long? 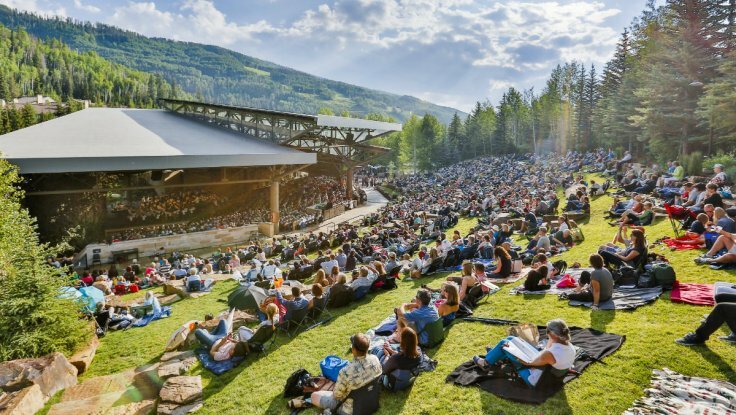 That’s right, your Number One Winter Wonderland turns into a magical spot full of music, art, hiking, fishing and all things that make summer a spectacular time to be just off the beaten path in the heart of the Rockies. June 2 – Steamboat Marathon. The 38th annual running of the Steamboat Marathon, Half Marathon and 10k. Run alongside the roaring Elk River through the emerald green pastures on Country Road 129 with the snow-capped Rocky Mountains of Colorado all around. June 6 – Yampatika Wild Edible Feast. Celebrate the bounty Yampa Valley and sample small plates of trout, pork belly, elk, goose and wild plants delectably prepared by talented chefs. June 13 – Rocky Mountain Mustang Roundup. More than 450 proud Mustang sports car owners convene for this Father’s Day Event. Enjoy a scenic mountain tour, auto cross and Friday night Show n’ Shine Car show. June 15 – Howsen Hills Trail Run. Challenge yourself on 8 mile and 4 miles single track trails running past an abundance of fresh aspen trees and fragrant wildflowers. June 20 & August 1 – Music on the Green. An incredible line-up of free concerts in Steamboat’s most beautiful parks. Hitch-up your lawn chairs and bring the whole family to swing and sway to every kind of music from bluegrass to rock filling the cool mountain air with sweet sounds. Fridays and Saturdays through August 17 – Steamboat Pro Rodeo Series. Kick-up some dirt and whoop your cowboy heroes as they defy gravity on wild broncs and bucking bulls fulfilling an award-winning Steamboat western tradition. June 21 – Opening Night Orchestra. The 32nd Festival classical season opens with a wide range of crowd-pleasing favorites from the dramatic strains of Wagner to a countryside ride suite through Norway courtesy of Edvard Greig’s Holberg Suite. And no concert would be complete without some great Ludwig Van – Beethoven, that is – featuring a birthday piece written for Mrs. B! June 25 – Music and Beer! The only thing better than listening to good music in a Steamboat setting is bending your elbow with a flagon of some fabulous local craft brew. June 30 – Chris Botti. Grammy award winner and former Sting Sideman, Chris Botti, will be seducing you with the strains of his trumpeting skills that have sold more than 4 million albums worldwide. July 4 – Cowboy Roundup Days. The whole Yampa Valley turns out for this annual event. Includes the Pioneer Block Party, Ski Jumping Extravaganza and the largest Pro Rodeo event of the summer. July 11 – Robert Cray. This R&B legend, Blues Hall of Famer and 5-time Grammy winner brings his own special energy and soul to the Steamboat audiences as he’s done at festivals and concert halls around the world. July 13 & 14 – Hot Air Balloon Rodeo. This sky-filled spectacle above Bald Eagle Lake is more than a colorful show – it’s a competition! Watch balloon pilots take on challenges that will blow your mind! July 20 – Tour de Steamboat. Colorado’s most epic non-competitive cycling event for enthusiasts of all ages. Participants join four different routes from 26 to 116 miles past the majestic scenery that you can only see in Northwest Colorado. And don’t miss the post-ride party featuring local microbrews and western-style BBQ. July 30 – Suzanne Vega. The voice of the 90s and brilliant storyteller brings her soulful tunes to Steamboat. Among her many hits, “Luka” still haunts the memories of many, and her riveting live performances are deemed unforgettable from coffee house audiences to her sold-out concerts. August 9 – Arturo Sandoval. Be transported to the shores of Havana, Cuba with the maestro of Latin-American jazz. Together with his band, Sandoval brings a singular dynamism to the Steamboat stage. August 11 – John Hiatt. He has been defined as the songwriter of his generation. In this rare acoustic set, Hiatt’s guitar never sounded more rugged and rootsy and his lyrics more inspiring. August 13 – Branford Marsalis. Saxophonist and jazz lion, Marsalis is a standout from the esteemed family of New Orleans musicians. From his stint on The Tonight Show to his sold-out concerts, he takes audiences into new realms crossing stylistic boundaries and audible ecstasy. August 16 – Asleep at the Wheel. Texas Swing ain’t dead – it’s asleep at the wheel! This Austin based band will have you kicking up your heels to “Ain’t Nobody Here But Us Chickens” and so many hits that earn them the distinction of one of the finest show bands to ever wow an audience. And, of course, all summer long, you can enjoy Steamboat’s exceptional fishing spots, world class golf courses, abundant walking and bike trails along sparkling lakes, tennis and soothing nearby hot springs.